Every year we inevitably see a certain kind of envelope drop through the post box. The wedding invitation. For me, the first question I ask myself is "What am I going to wear?" I read an article in Cosmopolitan recently that answered many of the questions that we ask ourselves when choosing a wedding guest outfit. Much of the advice I agreed with (no long white dresses, nothing see through; no jeans); but other tips such as no animal prints, I was not so sure of. There is no reason why you cannot be fashion forward or wear a strong print at a wedding, it is just a case choosing the right dress. I have picked out some of my favourite dresses that I would wear when attending a wedding. 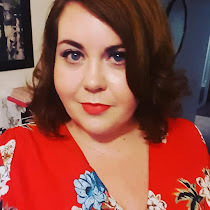 All of them can be carried through from day to evening and as this is a plus size fashion blog, I have ensured that you can find dresses from a 10 to a 32. This is a very classic style dress that will take you from day to evening and is also made from an uncrushable fabric, meaning no creases after sitting in church pews or a very long best man's speech! You cannot go wrong with a classic black and white dress. I love the lines on this dress and the pleating will look amazing when twirling around on a dance floor! This is the boldest choice of my dresses. It will look gorgeous on a sunny day and is must for a fashion maven wedding. Who doesn't love a little bit of sparkle with a wedding. This beautiful dress has sparkle without being too flashy and I love the light green colour. Quite helpful information on what to wear at weddings. Last week, I attended my cousin’s wedding which was arranged at one of popular wedding venues in town. All our family and close friends gathered. Theme of wedding was in pink color and had pretty good time.